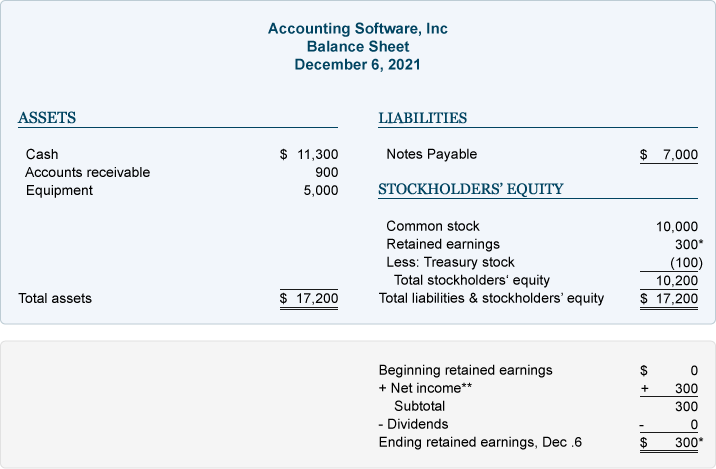 The totals now indicate that Accounting Software, Inc. has assets of $16,300. The creditors provided $7,000 and the stockholders provided $9,300. Viewed another way, the corporation has assets of $16,300 with the creditors having a claim of $7,000 and the stockholders having a claim of $9,300. 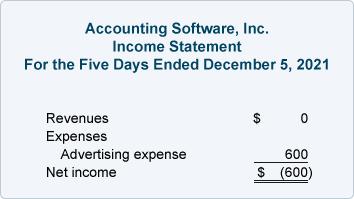 **The income statement (which reports the company's revenues, expenses, gains, and losses for a specified time period) is a link between balance sheets. 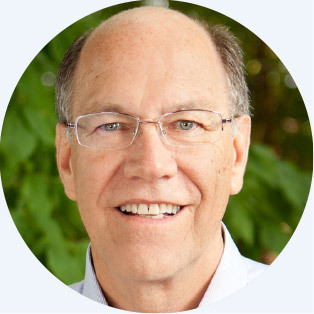 It provides the results of operations—an important part of the change in retained earnings and stockholders' equity. 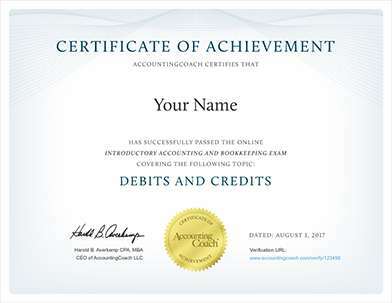 Because we assume that Accounting Services, Inc. is a Subchapter S corporation, income tax expense is not reported on the corporation's income statement. 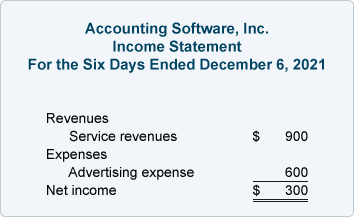 Since ASI has performed the services, it has earned revenues and it has the right to receive $900 from its clients. This right means that assets increased. The earning of revenues also causes stockholders' equity to increase. The totals tell us that at the end of December 6, the corporation has assets of $17,200. It also shows that $7,000 of the assets came from creditors and that $10,200 came from stockholders. 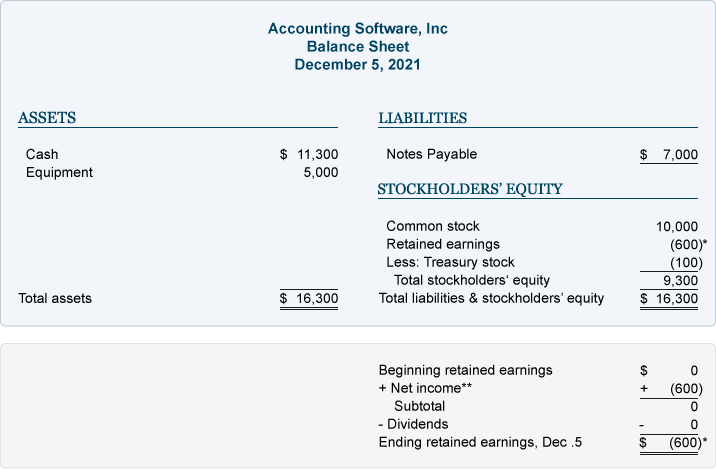 The totals can also be viewed another way: ASI has assets of $17,200 with its creditors having a claim of $7,000 and the stockholders having a claim for the remainder or residual of $10,200.